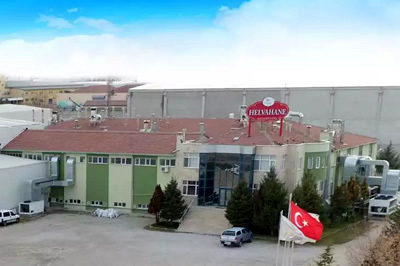 New traditional products, such as halvah, Turkish delight and Mevlana candy are produced at the facility, founded after the candy and sugary products production facilities, which is the first step in turning the sugar beet, processed at the Sugar Factory, into products with added value. Production of traditional products, which were produced in the candy and sweets facilities, founded in the Cumra Campus for the first time, began at the facility in Karaman, which was integrated into the institution upon decision of growing in this product group. The traditional products production facility, founded on 13400 m2 outdoor area, produces sesame (sesame for biscuits, sesame for Turkish bagels, sesame for cakes), tahini, halvah and Turkish delight production on 3700 m2 indoor area.